After the overwhelming success of HELL HOUSE LLC since its release in 2016, fans have been clamoring to know if and when writer and director Stephen Cognetti would be following up this critically acclaimed found footage horror film with a sequel. This September the sequel will arrive, HELL HOUSE LLC II –THE ABADDON HOTEL. “I made this film with the fans in mind in hopes that it would answer questions from the original while deepening the overall story." 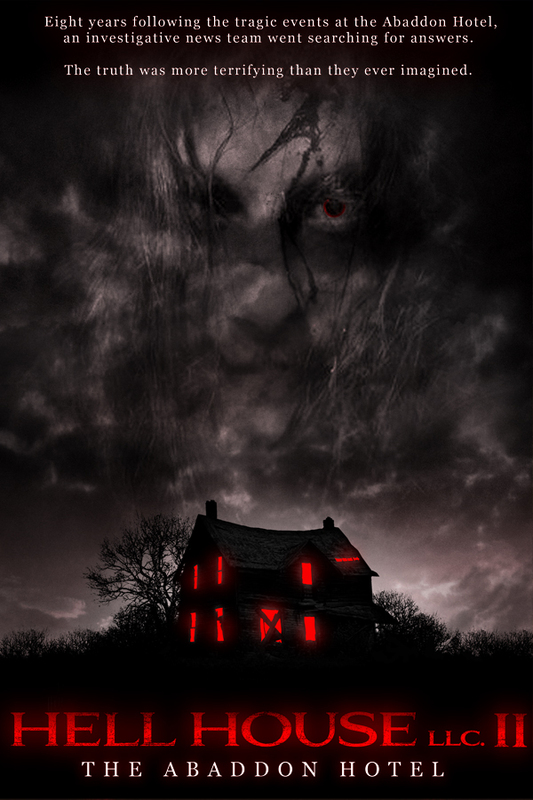 HELL HOUSE LLC II – THE ABADDON HOTEL is set for a limited digital release on 14th September and will be released by Terror Films. This horrifying title will be available on: iTunes and Amazon Instant Video. On these platforms, HELL HOUSE LLC II – THE ABADDON HOTEL will show: in the U.S., Canada, the U.K. and Ireland! Also, a wider Digital release will follow at a later date and will include: VUDU, Tubi TV, Roku, iFlix and more.